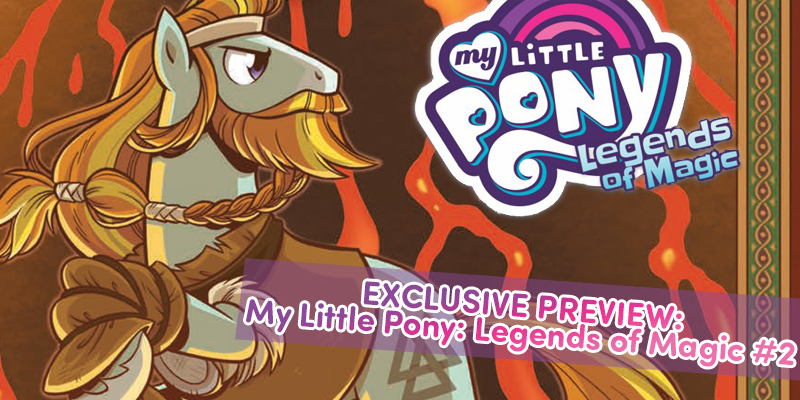 EXCLUSIVE PREVIEW: My Little Pony: Legends of Magic #2 | YAYOMG! Who’s ready to dive into the secret history of Equestria? 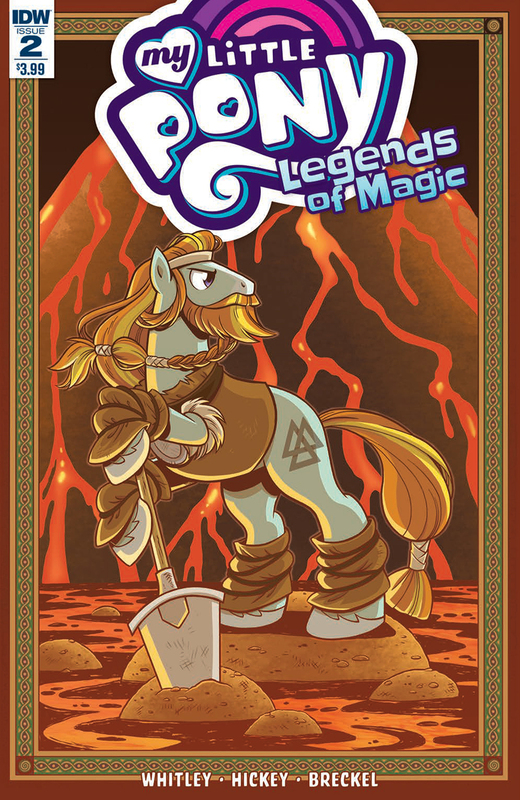 In case you missed it, IDW Publishing released a brand new ongoing series of My Little Pony comics last month called My Little Pony: Legends of Magic. 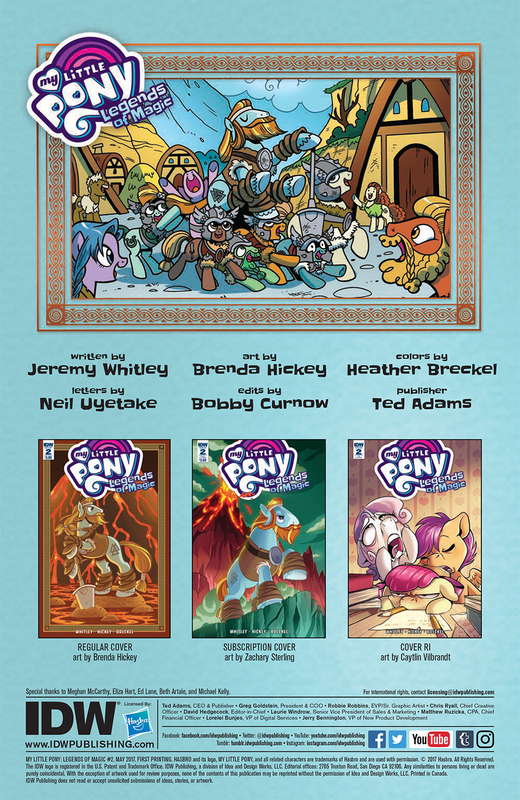 This new series from writer Jeremy Whitley and illustrator Brenda Hickey promises to reveal the origins of cutie marks as well as the myths, legends, and stories of your favorite ponies (and some brand new ponies too!). We’ve got an exclusive preview of My Little Pony: Legends of Magic #2, courtesy of the amazing folks at IDW! Before we dive into the Issue 2 preview, here’s a quick rundown of the series so far. My Little Pony: Legends of Magic ties into Season 7 of the Friendship Is Magic cartoon on Discovery Family, making it the perfect companion comic for any die-hard MLP fan! The first issue came out in April and takes us into the private library of legendary unicorn wizard Starswirl the Bearded for the very first time. This new comic series tells Starswirl the Bearded’s personal accounts of well known Equestrian myths and tales. 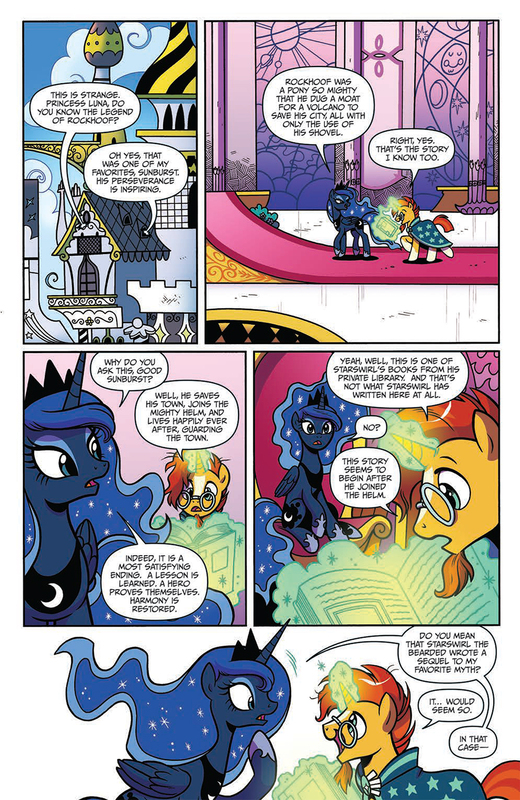 In the first issue you’ll travel back in time to learn about Princess Celestia and Princess Luna struggles with sisterhood, magic, and more! 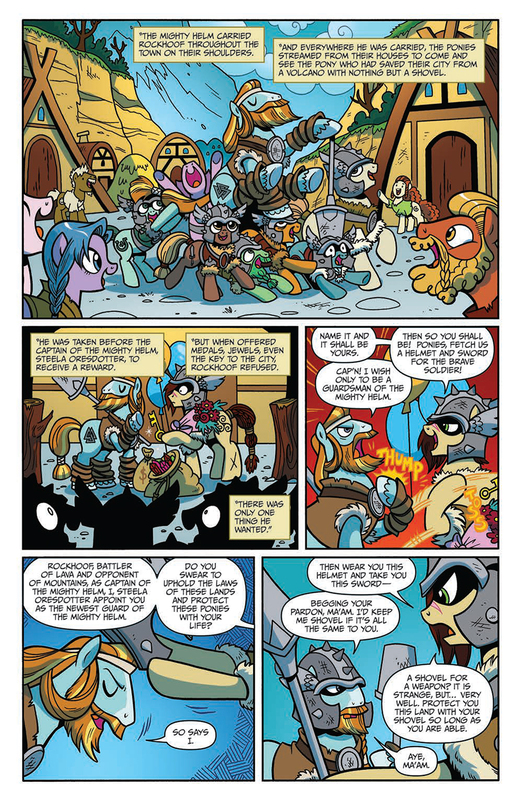 My Little Pony: Legends of Magic #2 tells us a little more about the legendary Rockhoof. Highly regarded as the strongest pony in the realm, everyone in Equestria knows his heroic tale of courage and bravery. 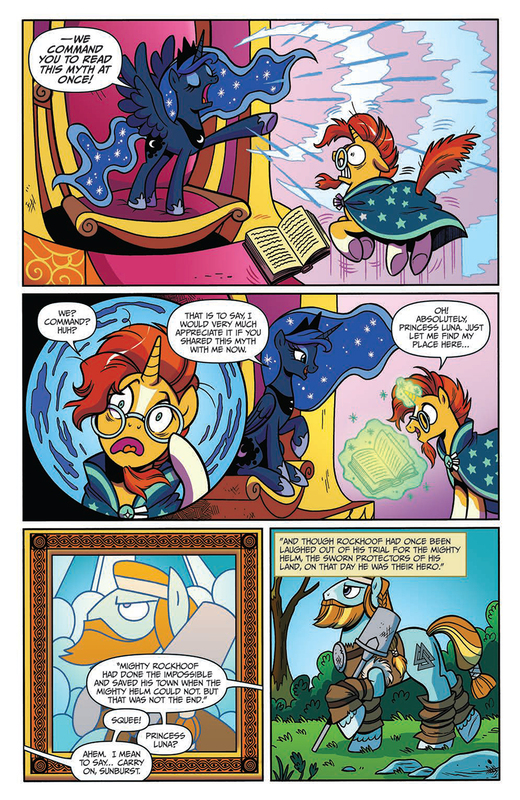 One day, Sunburst uncovers a book from Starswirl the Bearded’s private library that appears to be a sequel to Rockhoof’s heroic legend that might change everyone’s view of him forever. 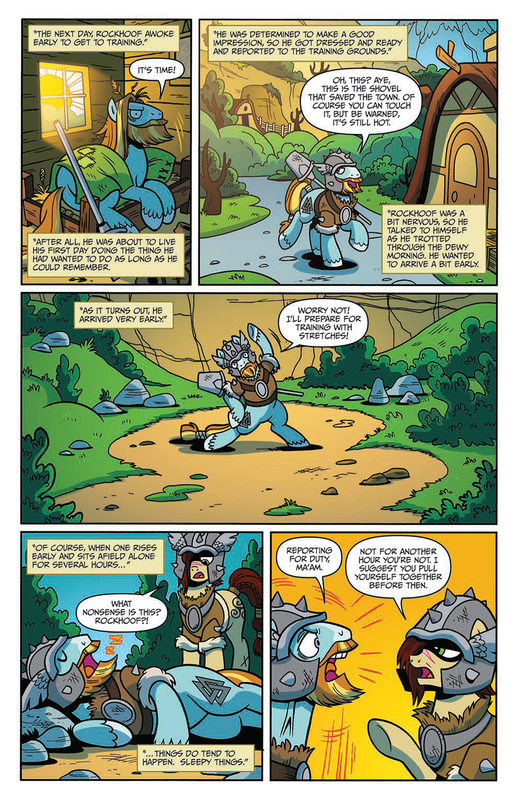 This second issue tells the secret tale of Rockhoof as he trains for the position in the Mighty Helm that he always dreamed of. Will he be able to live up to expectations? Rockhoof must learn to balance work and play in order to become a true hero! Dying to take a peek at this brand new MLP adventure? 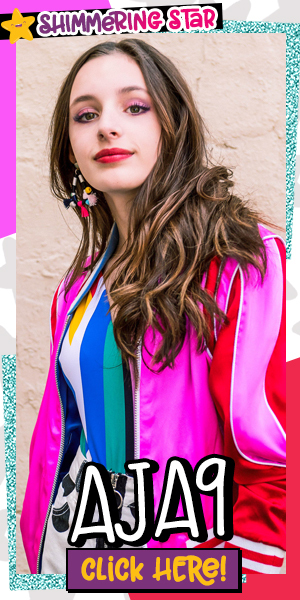 You’re in luck, IDW shared some EXCLUSIVE preview pages with us so you can get excited about this issue before it hits comic shops on May 10th! 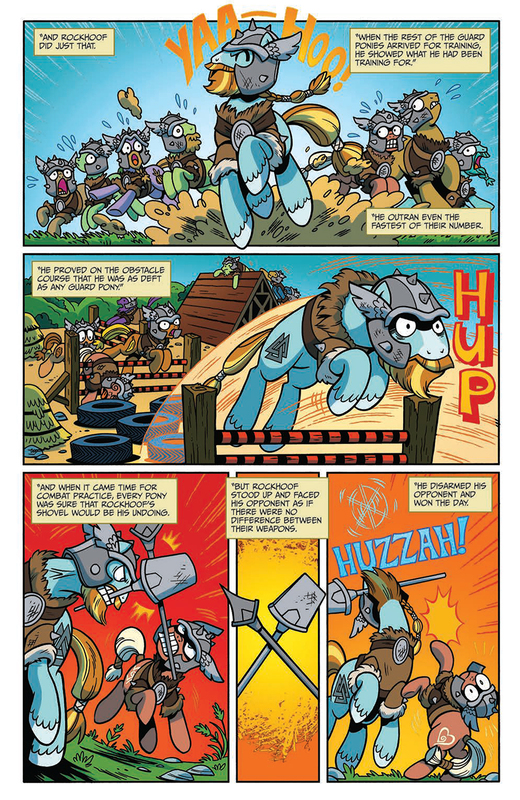 Synopsis: The legendary Rockhoof is the strongest pony in the realm! But is he strong enough to stop the mighty magma creatures that live inside a volcano? Ready to explore the mythological history of Equestria and find out if Rockhoof trades in his dreams in exchange for an oat eating contest and popularity? 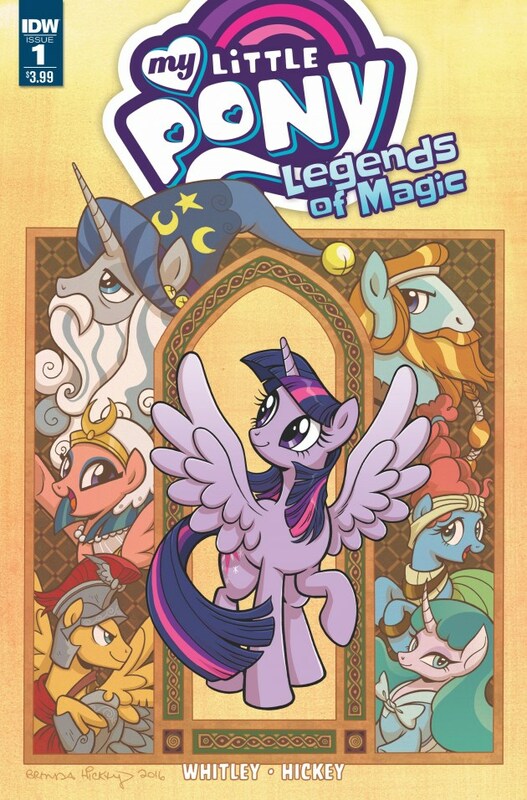 My Little Pony: Legends of Magic #2 releases May 10th! 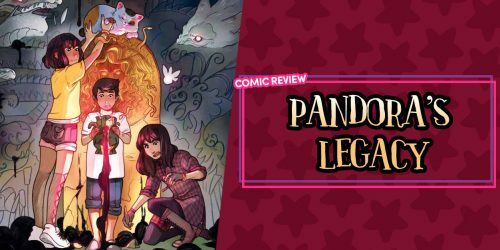 While you’re at the comic shop, make sure to grab a copy of the first issue so you can catch up on legendary magic. Need more comic suggestions? 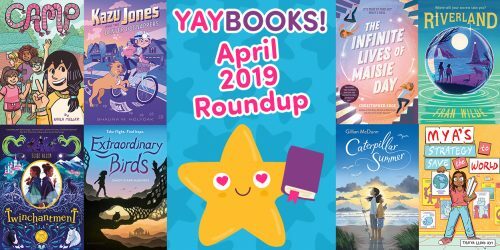 Check out all our favorites by clicking here!